A funeral is an occasion to mark the end of a person’s life here on earth. Family and friends come together to express their grief, give thanks for the life lived and commend the person into God’s keeping. 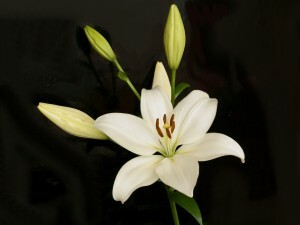 A funeral can be a small, quiet ceremony or a large occasion in a packed church or crematorium. The manner in which we say goodbye to those we have loved has undergone great changes over the years, contemporary practice frequently celebrating all that a loved one has offered during their life. For a cremation, a service can be held in church followed by a committal service at the crematorium. Or, if you prefer, the whole service can be held in the chapel at the crematorium. Some people may have already discussed with their loved one the type of service they wish for, but others may want to seek help and guidance from one of the clergy. If the minister did not know your loved one, he or she will want to talk with you to find out about their life, to assist in writing the funeral address and to be of any help to you that they can. The church can offer practical and spiritual support at a time which can be filled with a mixture of grief for the loss of a loved one; celebration for a long and well-lived life or anger at a sudden tragedy. Many questions can arise at this time, leading to mixed feelings and emotions. We are here to help whenever you feel the need to talk with someone; please call at any time: 020 8650 3332.